Here’s another review of a widely available official release. This time it’s an Irish whiskey. 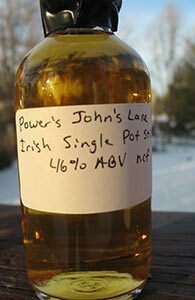 My track record with Irish whiskey has not been very good. I’ve not had very many and very few of the ones I have had have made me want to have more. I’m sure this is just an accident of random, limited selection. 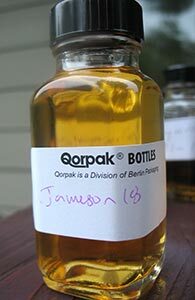 In recent years, a number of older Irish whiskies from independent bottlers have received high ratings from a number of sources. 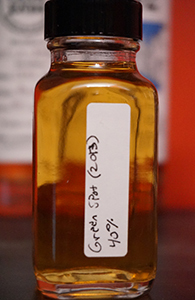 And what is more, they’ve been lauded for their fruity quality—a quality I like very much in Scotch whisky. Unfortunately, I’ve not had any of those whiskies—they don’t come cheap and I don’t really spend large amounts of money on individual bottles any more. Not to mention, these are all European releases and it’s harder and harder to get those sent to the US these days. Just in time for St. Patrick’s Day…oh, forget it. 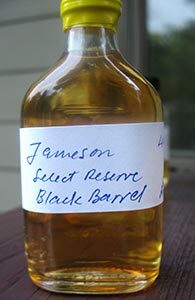 Well, I didn’t enjoy the last jumped up Jameson I tried, the Black Barrel. And I didn’t enjoy the last whiskey I drank from the Midleton distillery either (yesterday’s Green Spot). Will Gold be better than Black and Green? Will I ever meet an Irish whiskey that gets me very excited? Let’s dive right in and see. 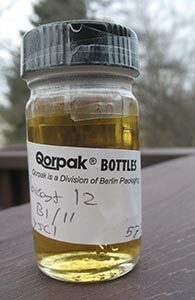 As per Michael K., from whom I got this sample, this is a vatting of ex-bourbon, ex-sherry and virgin oak matured spirit. 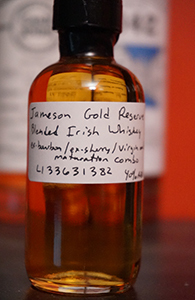 This is the cask strength version of the Redbreast 12 that was a huge hit when it arrived in the US some years ago, and it was quite well received in its own right. I have to admit I wasn’t crazy about it the first time I tried it (or, more accurately, I didn’t think it offered enough to justify the price premium over the regular 12) but am interested to see what I make of it this time around.